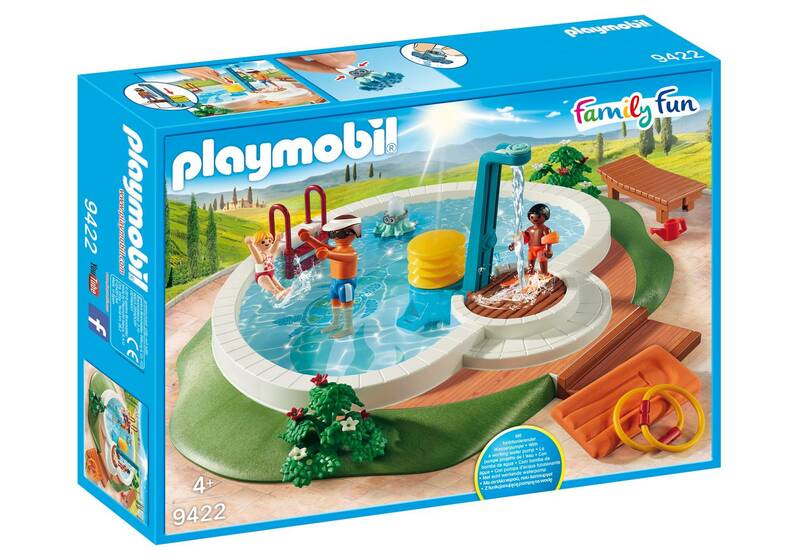 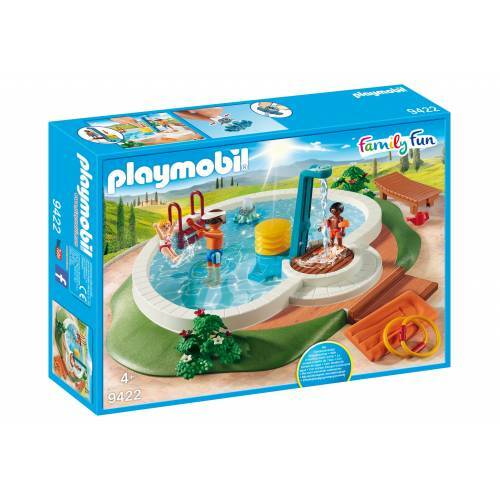 Enjoy the sun and a cooling swim with the Playmobil 9422 Family Fun Swimming Pool play set. 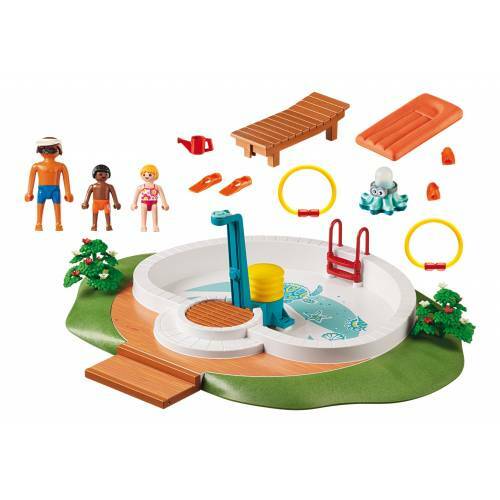 The set features a pool, which can be filled with water and includes a functioning shower; simply press the pump to activate. 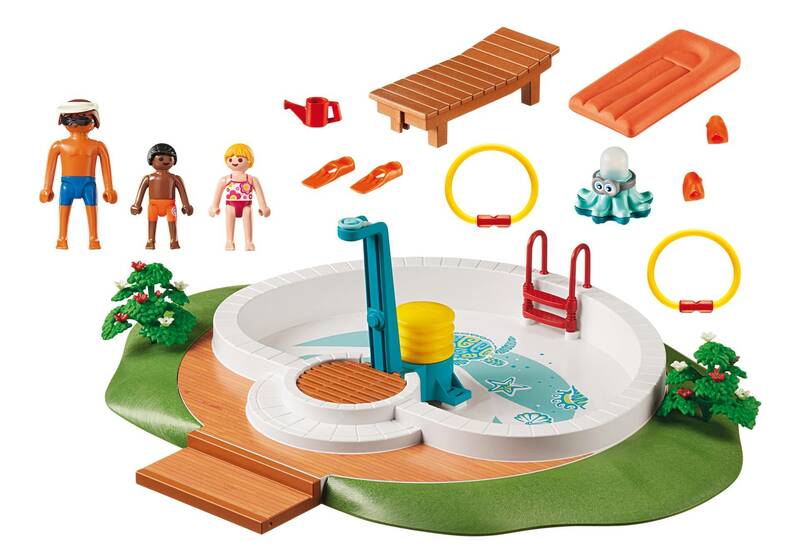 There is also a floating raft for a relaxing float in the pool and, for added fun, an octopus toy, which can squirt water!